Looking for bail bonds near you? Owens Bonding Co. is proud to operate in more than 95 counties in Kansas with more than 35 licensed bail agents. While our offices are based in Wichita, we have the ability to help clients all over the state of Kansas through our network. Call 866-830-2663, or use the agent finder below to find your nearest bail bondsman! We’ll get you out of jail as quickly as possible! At Owens Bonding Co., each and every one of our bail agents are members of the Kansas Bail Agents Association. You can trust that our licensed bondsmen will keep your information confidential and treat you with respect, no matter what charges you are facing. After all, we know that innocent people get arrested, and everyone is innocent until proven guilty. 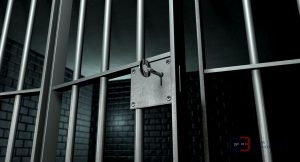 Our mission is to get you out of jail as quickly as possible at an affordable rate. With more than 15 years in the bail industry, Owens Bonding Co. has helped the people of Kansas save money. According to law, bail should not be excessive, but it often is too much for the average person to afford, leaving them stuck behind bars for days or even weeks. There’s no need to waste time in a cell when you could instead enjoy an early release from jail! No matter what kind of charges you are facing, as long as you are eligible for bail, our agents are happy to help. We handle misdemeanor, felony, and even federal offense bail bonds, as well as much more. Whether your cash bail is set at $500 or $50,000, we will help you find an affordable solution so you can return to the comforts of your home. With the money you save by using a bail bond, you could pay off your fines, court fees, or hire an attorney. Find a Bondsman Near You, 24/7! If you or a loved one needs a bail bond in Kansas, you can contact our main Wichita office at 866-830-2663, or find your nearest bail agents below. Each of our agents is available 24 hours a day, seven days a week, including holidays, to serve you best! No matter which agent you choose, you can count on high quality, professional service. Enter your zip code below to find your nearest bail agents and their contact information. Call our main office at 866-830-2663 for questions and bail services in Wichita, KS. Updated on February 15, 2017 at 4:11 pm by Owens Bonding Co..